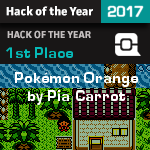 Pokémon Orange is a Crystal hack by Pia Carrot/Kuroko Aizawa. The aim of this hack is not only to create a great Orange Islands hack, but also to give me experience to work on Ancient Platinum and raise it to an even higher standard. I started hacking 8 years ago after playing Pokémon Naranja on a cartridge, and since then I've always wanted to see a good Orange Islands hack completed. However, it's never happened to this extent, so I've decided to take matters into my own hands. 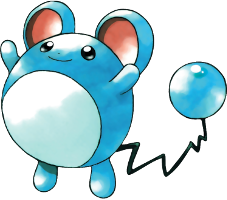 You are a kid from Valencia Island who wants to become a Pokémon Master, after hearing about a kid the same age named Red defeating the Indigo League 6 months ago. 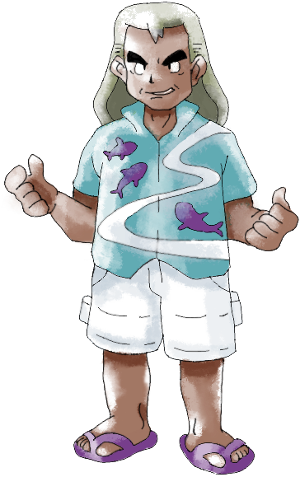 You set out on a journey to deliver the mysterious GS Ball to the esteemed Samson Oak, who is visiting the Orange Islands from the Alola region and to take on the Orange Crew! Play as Indigo or Orange, explore, fight goofy villains and walk into a fresh and nostalgic world to learn more about the wonderful world of Pokémon and to Catch 'em All! Last edited by Alice; 3rd March 2018 at 02:06 AM. Nice concept with some solid exeggcute-tion thus far. Tiles are very well done and look like they were meant to be in gen 2 all along (the rse water specifically). The Alolan Varients are a nice touch (not like every hack is gonna be adding them or anything). Definitely a hack to watch even if its an anime based idea for the most part(like including not-Brock). 7.8/10 too much water. I love that James sprite. Why dont you put some Banners on the thread so we can have them in our sigs pia? Awesome! Looks like I've got a rival now! Wow! I like how this looks. I may consider playing it on stream.